John Lennon's Les Paul Junior modified guitar. PBS Television recently ran a feature on The Mike Douglas Show. This daytime talk show originated out of Philadelphia and ran for many years. What was unique about The Mike Douglas Show, was Mr. Douglas’ attitude and recognition of talented people. 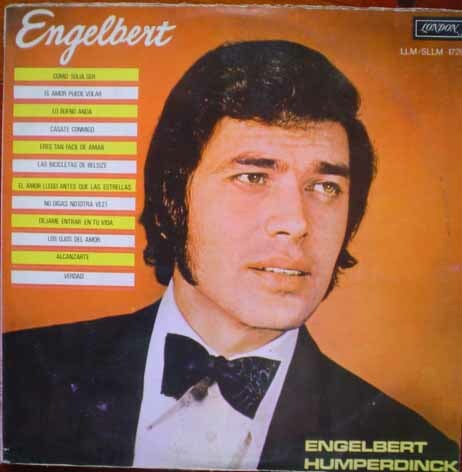 During the late 1960’s and early 1970’s his guest list included, not just current celebrities and pop musicians of the past, but rock musicians and radical icons that you would never see on The Johnny Carson Show. For an entire week, he turned his show over to John Lennon and Yoko Ono. 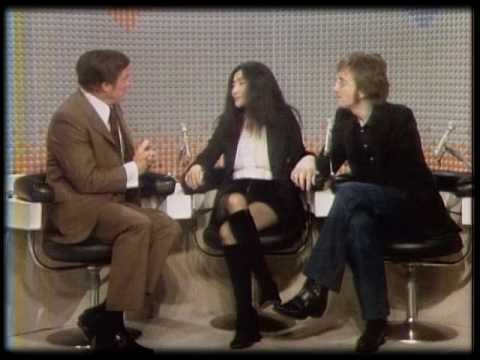 John and Yoko had free reign to choose the guests they wanted to interview. During that week, Lennon played with some other musical guests and the guitar he chose was one that I had never seen before watching the video of him playing alongside Chuck Berry. Many of us recall John and George playing their matching Gibson J-160E guitars on the Ed Sullivan Show or in their first movie. Later on John stripped the finish off of his guitar and played it during the Bed-in. 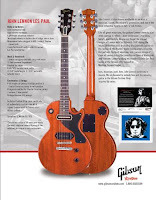 Few recall John Lennon’s Gibson Les Paul Jr. guitar. This is the guitar Lennon used during his 1972 performance at Madison Square Garden to benefit the One to One Organization, which aided children with learning disabilities. 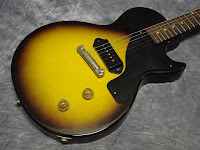 John Lennon purchased a factory condition Les Paul Junior guitar with a tobacco sunburst finish sometime in the early 1970’s. 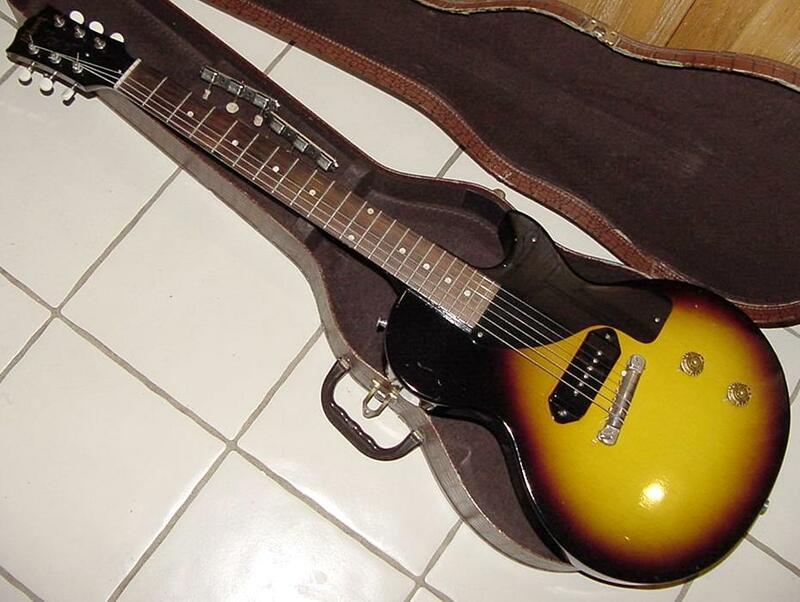 The original equipment was a single P-90 pickup with a black cover, a wraparound tailpiece and Kluson tuners. The scratch plate covered the section below the neck. The controls were sparse, just a volume and tone control with gold knobs. DeMarino left the P-90 alone, but routed out a section of the body for a neck pickup. Instead of the requested Humbucker, DeMarino installed a Charlie Christian pickup, which had a narrow string-sensing blade and produced a clear sound. Lennon was quite happy with the results. You can see him playing the finished product in the video clip during the “Douglas” show. At some point shortly afterward, he returned the instrument to DeMarino and asked him to sand off the sunburst finish. In the past Lennon sanded the finish off of his Gibson J-160E and his Epiphone Casino, so it was no surprise he wanted this guitar sanded to show off the instruments bare mahogany wood finish. 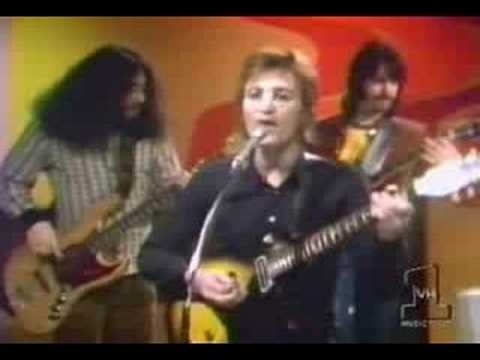 It was at this time Lennon asked DeMarino to replace the original tailpiece. DeMarino plugged the holes from the wrap-around bridge and added a tune-o-matic bridge and stop tailpiece. Fast forward 35 years after the August 30th 1972 concert in Madison Square Gardens that was to be Lennon’s first performance in years. In July of 2007 Gibson Guitars reproduced a limited run of 300 John Lennon Les Paul Junior guitars for sale on August 17th 2007. This project was lead by Gibson’s Customer Historic Program manager, Edwin Wilson. 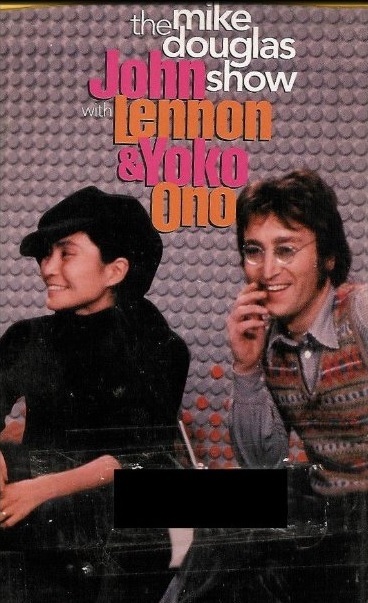 Wilson obtained Yoko Ono’s permission and endorsement of the project. Mr. Wilson then visited The John Lennon Museum in Japan, where the original instrument is currently on display. Wilson was allowed to inspect the guitar but was required to wear white protective cotton gloves. As the museums curator laid it out, Wilson began by taking pictures and measuring the instrument. He was not allowed to loosen the strings. He was able to remove the back access plates to photograph and inspect the wiring and the toggle switch. He was also able to remove the rear pickup covers so Custom Shop designers could accurately reproduce the wiring. The thing that most impressed Wilson was the frets. For an instrument that was almost 40 years old the frets were in great shape. Pre-1957 Gibson guitars came with extremely thin frets. For those that had a heavy fretting hand or those lead players that did a lot of string bends, the narrow frets would show a lot of wear. Wilson concluded that Lennon had a very light touch on his fretting hand. The other aspect that was evident was Lennon’s use of extra light gauge strings. John used .009’s. 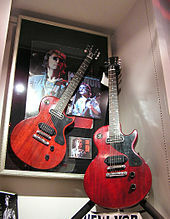 The Gibson reproduction guitars included two factors different from Lennon’s original model. The new instruments were equipped with wider frets and .010 gauge strings. Gibson luthiers distressed this instrument, even using cigarette burns, to mimic Lennon's original model. 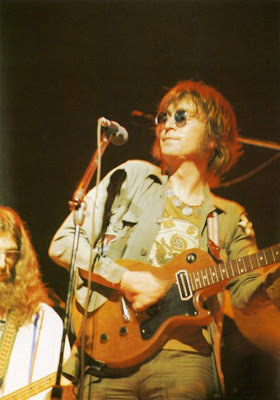 After Lennon’s original 1972 Madison Square Garden appearance, John decided to have the guitar refinished with a cherry stain while maintaining the sanded down finish. The Gibson reproduction features this finish and in addition, aged chrome hardware. 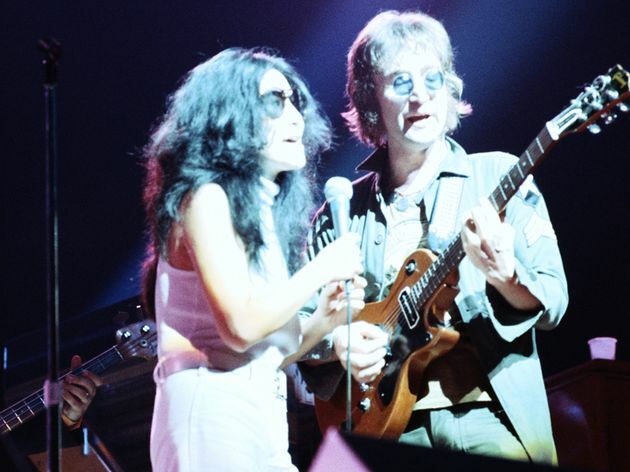 The original purchasers of this instrument were offered a certificate of authenticity packaged in a green cloth folder that was embroidered with Lennon’s signature, plus and interview with luthier Ron DeMarino, a Lennon print signed by the artist, Allison Lefcort and a replica of Lennon’s New York City sleeveless t-shirt. 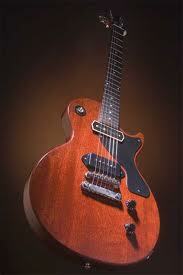 The original suggested Gibson retail price for the guitar was $7527.00 USD.